between friends & family, and artists & crafters from all over the world. Lots of good swag to win!!! Magenta's darling little chickadee stamp colored with markers. the splatters are made with Dylusion Spray Inks. and a cute little acrylic bat sticker I got at Michael's. Whohoo! How fun and colorful! Love! And for the record this anniversary day us not unlike any other day...all about Emma. Dennis and I haven't done anything together in forever. Linda, I totally LOVE how you combined a Series 1 die with a Series 2!! I wouldn't have ever thought of that... I've got to send Fran over to look! SO COOL! LOVE the cards (and aren't those dies just FAB?! Love these!!!! I want to go play now! Loveeeeee these!!!! LOVING those grids!!!! 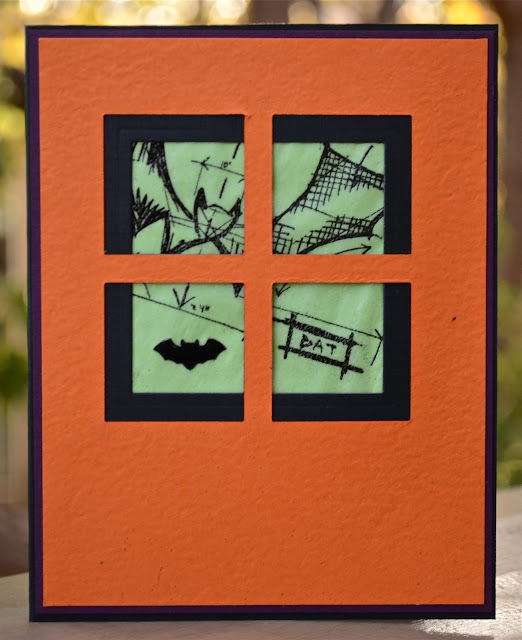 13 ATCs of Halloween - Feast of the Dead! Frantic Stamper Precision Die Blog Hop!! !